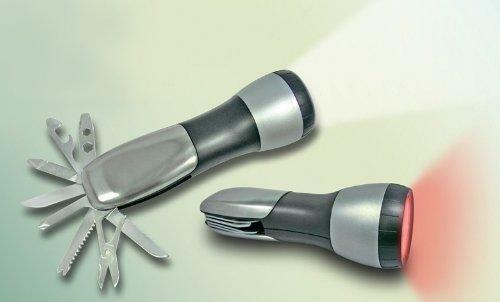 This handy tool combines a four LED bright white torch with 12 fold away functional tools. The tools include scissors, file, saw, can and bottle opener, four different screwdrivers, hexagon wrench, knife, hook disgorger and a fishscalper. The torch also has a flashing red SOS signal. 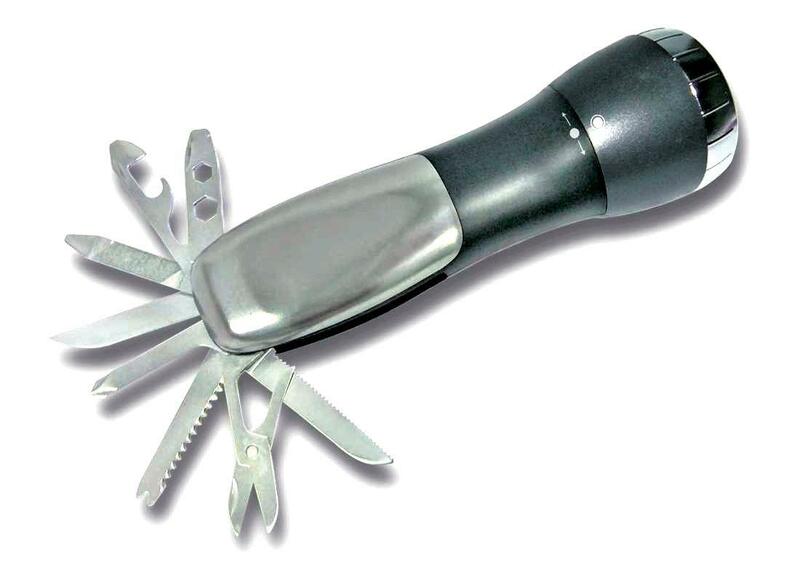 The perfect pocket sized multi tool for the handyman, camper or fisherman.